You are invited to attend the 46th Annual Boy Scout Leadership Breakfast. Celebrate the mission of Scouting and recognize its many noteworthy achievements of the year. Proceeds of the event are used to support Scouting’s important and successful youth development programs serving more than 24,000 local youth members in Kenosha, Milwaukee and Racine counties. President and CEO, Harley-Davidson, Inc.
Matt Levatich serves as President and Chief Executive Officer of Harley-Davidson, Inc. Levatich joined Harley-Davidson in 1994 and held positions of increasing responsibility in the U.S. and Europe, including President and Chief Operating Officer of Harley-Davidson Motor Company, Vice President and General Manager of the Motor Company’s Parts and Accessories business, Vice President of Materials Management, and President and Managing Director of MV Agusta. Prior to joining Harley-Davidson, Levatich held positions in engineering and in manufacturing management with FMC Corporation and Albany International Corporation. He holds an undergraduate degree in mechanical engineering from Rensselaer Polytechnic Institute. He received his graduate degree in engineering management and MBA in marketing, finance and organizational behavior from Northwestern University. 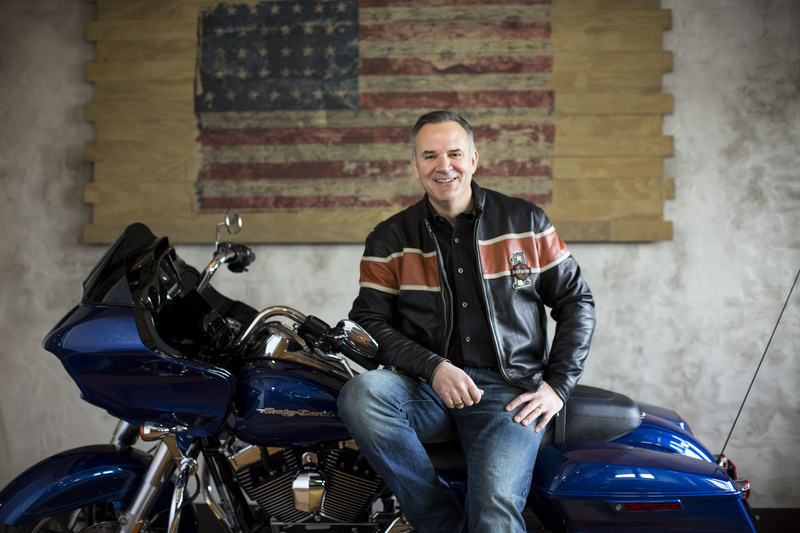 In addition to serving on the board of directors of Harley-Davidson, Inc., Levatich serves on the board of directors for Emerson, a global manufacturing and technology company based in St. Louis, and on the executive advisory board of Northwestern’s Master of Management and Manufacturing Program. A group solicitation is made during the breakfast and individuals who attend are asked to contribute a minimum of $360, although any size gift will be graciously accepted. The breakfast is expected to conclude by 9:00 a.m. Seating is limited. Please place your reservation by February 25, 2019. We request the names of your guests no later than March 1, 2019. For more information, contact Greta Black (414) 443-2872 or Greta.Black@Scouting.org. to build leadership, values, life skills, and self-esteem in youth. than 26,000 young people and their families in Kenosha, Milwaukee and Racine Counties. possible for kids in central city neighborhoods.